I made this second mini card for my vertical/direct manager where I will include it with the mooncake. 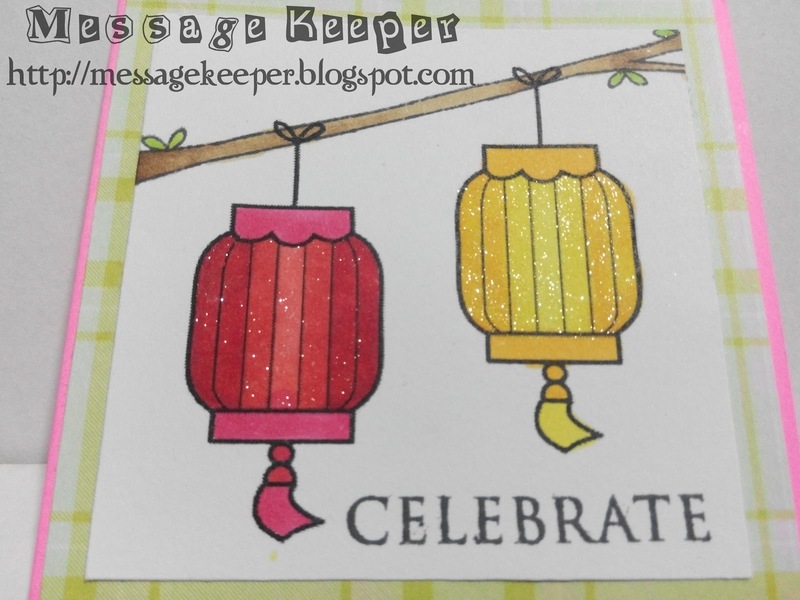 Again, I decided to use digital stamp which I come across few years back on Chinese New Year Blog Hop. 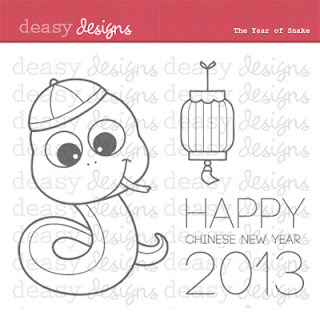 It is Deasy Designs Year of Snake set which still available as freebie on their blog. I use the lantern image only to create a hanging lanterns scene. 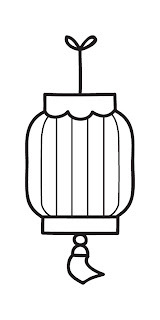 Then, I stamp the branch over the lanterns to mimic as it is hanging from it. At the right bottom, I stamp the sentiment. 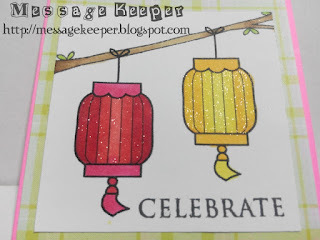 This time, I color the lanterns using Copic markers and use clear glitter Wink of Stella shimmer to mimic the light from inside the lanterns. The branch is colored using Copic markers as well. 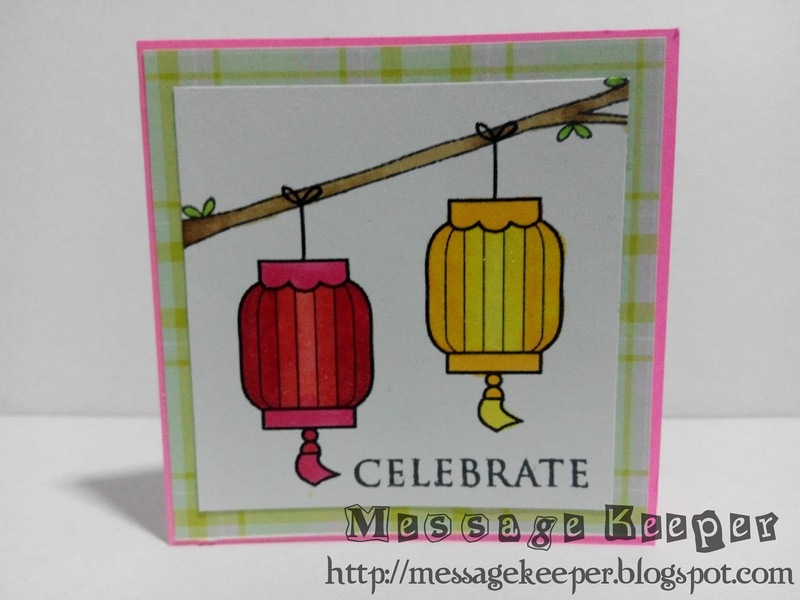 The lanterns is attached on top of a green and pink gingham pattern paper which attached onto a pink card base. I choose pink card base because this card is for a female manager. Thanks for joining our Anything Goes challenge at Bugaboo Stamps' Catch the Bug blog with your beautifully made mini card this week. Good luck in the draw - we hope to see you again soon!